Most hydraulic systems contain a limited amount of hydraulic oil which is re-circulated with high velocity through the system under high temperature and pressure. Due to the closed-loop nature of these systems the amount of contamination is limited, but the requirements for cleanliness are high. Due to the intensive contact between the limited amount of oil and the system components contamination will lead to damage and component failure. 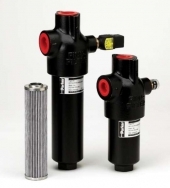 Therefore the demands for hydraulic filtration are very stringent: a suitable filter will safe considerably on maintenance and life-time of the hydraulic system. 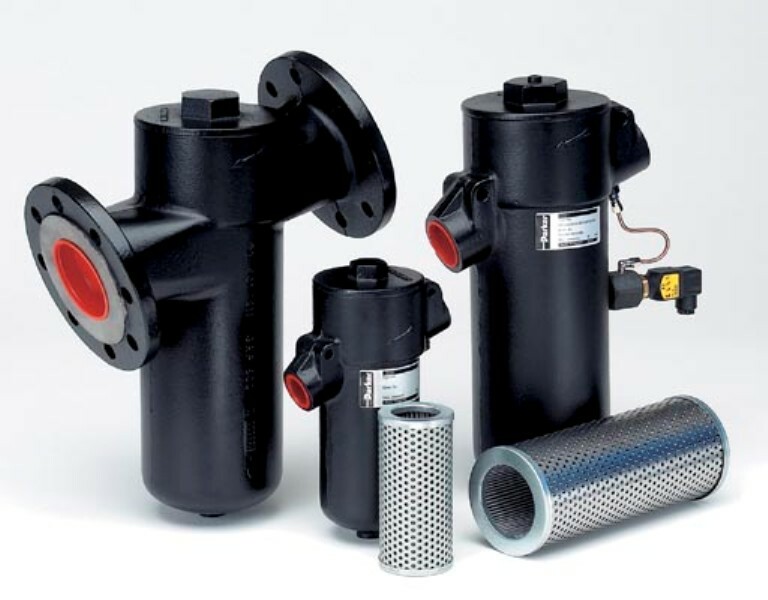 Hydro-Carbon Filtration & Separation offers a width range of hydraulic filter housings for incorporation with hydraulic systems. Depending on the actual execution of the system a suitable filter-housing with an efficient filtration rating can be provided. The hydraulic filter cartridges are absolute rated (ß> 75) and offer improved solids holding capability for extended life time. For systems that suffer from water contamination we refer to section monitors. 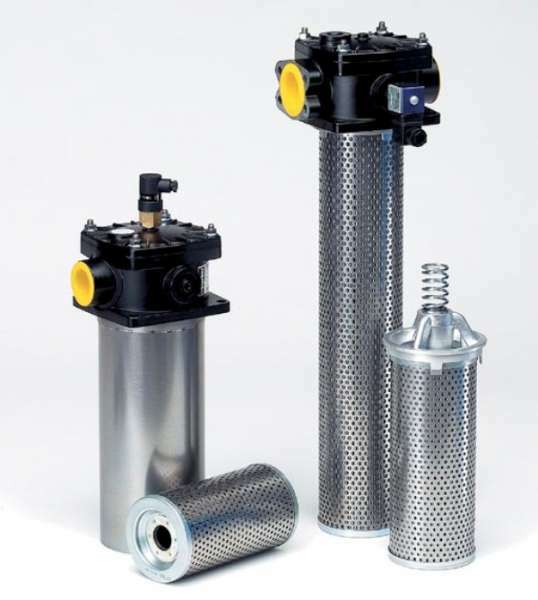 Hydro-Carbon Filtration & Separation can also offer replacement cartridges for many existing filter-housings for improved performance and economics. Located downstream from the system pump. They are designed to handle system pressure and sized for the specific flow rate in the pressure line where they are located. 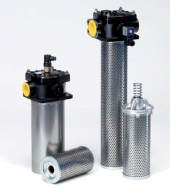 Pressure filters are designed to protect sensitive components directly downstream from the filter, such as servo valves. Designed to be the last component through which fluid passes before it returns to the system reservoir. Return filters catch all debris generated by the system’s components and therefore help to provide conditioned fluid for the system pump(s). The location of a return filter allows for much lower pressure ratings and helps reduce costs. Also referred to as kidney loop, re-circulating, or auxiliary filtration. These filters are totally independent of a machine’s main hydraulic system. Off-line filters require their own flow producing mechanism and are often part of a cooling loop. Fluid is received from the system reservoir, polished through a filter, and then returned to the reservoir. The constant flow and pressure of an off-line filter produces the best filtration efficiency and therefore the most predictable results. In addition, off-line filters can operate continuously even if the main system is shut down or serviced while the main system is operating. Like return filters, off-line filters provide no direct component protection. Suction filters serve to protect the pump from fluid contamination. They are located directly upstream of the system pump. Some may be inlet ‘strainers’, submersed in the fluid. Hydro-Carbon Filtration & Separation offers externally mounted filters to insure proper maintenance. In either case, the filters are equipped with relatively coarse elements, to prevent cavitation of pumps. Typically suction filters are equipped with wire mesh cleanable elements that are 40 micron or larger. These elements have little effect on a system’s ISO code, and simply serve to prevent catastrophic failure from foreign objects that end up in the reservoir. Spin-on filters are very common to both the automotive and mobile markets. Their design prohibits an operator from running a system without an element (canister) in place. Spin-on filters are easy to service. Most spin-on filters are utilised as return filters because of their pressure limitations.